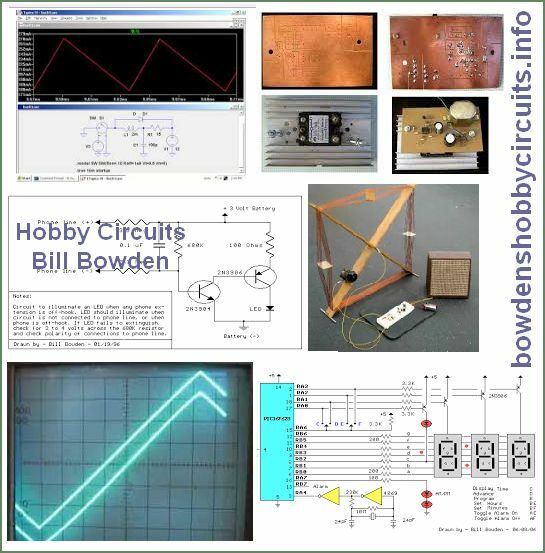 Bill Bowden’s Circuits is one of the oldest Web Reference, it was hosted by CompuServe homepages and later moved to his own domain website. A small collection of electronic circuits for the hobbyist or student. Site includes over 100 circuit diagrams, links to related sites, commercial kits and projects, newsgroups and educational areas. Most of the circuits can be built with common components available from Radio Shack or salvaged from scrap electronic equipment…….